This year, the most asked for (in my family) beauty related gift vouchers have been for Benefit. 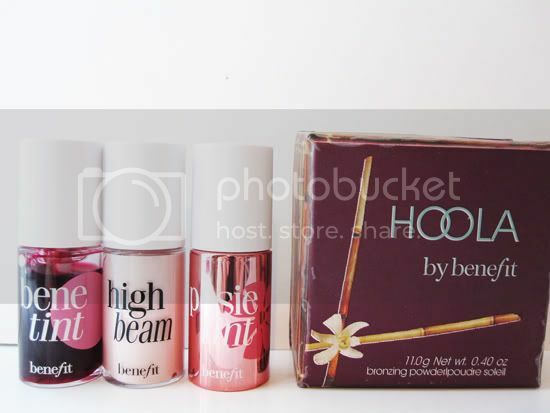 Benefit aren't a brand that I shop with regularly due to their prices, but they do have a couple of gems which always make me go back for more. Here are four of the most loved and used Benefit products in my make-up collection. The first item I ever bought from them was Hoola. This flattering matte bronzer continues to be one of the best I've ever tried. Paler girls can happily contour with this, whilst more medium/tanned ladies such as myself, can use it as an all over face powder to add a bit of warmth to dull winter skin. One of the products that I think Benefit does particularly well, and is what they are probably most famed for, are these little pots of goodness. High Beam is a beautiful creamy highlighter which is easy to blend with and adds instant light to your face. I always tend to use this if I'm looking particularly tired or a bit under the weather (ideal for this time of the year!). 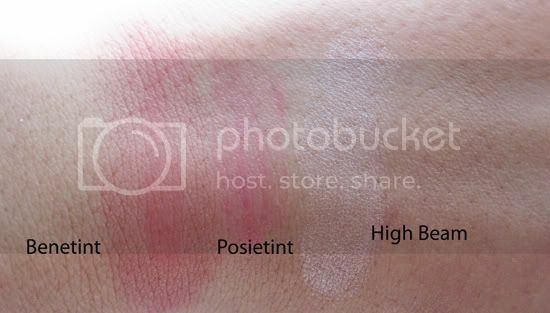 Posietint is a lovely pink/poppy cheek and lip stain which has great wearability. Benetint is the classic red-rose coloured cheek and lip stain which is perfect for when you want a subtle rosy glow to perk up your complexion. All of these pots last a long time and I stocked up when they were given away with Glamour earlier in the year. There are countless dupes and cheaper wannabes for nearly every item in Benefit's range. 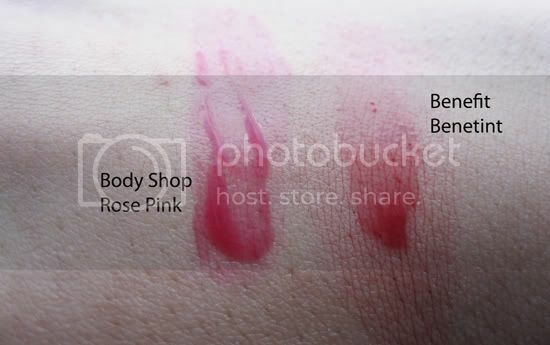 One of the best cheaper alternatives I've found is The Body Shop's Lip & Cheek Stain in Rose Pink. The colour lies almost in the middle of Benetint and Posietint and has that same great wearability of those two. 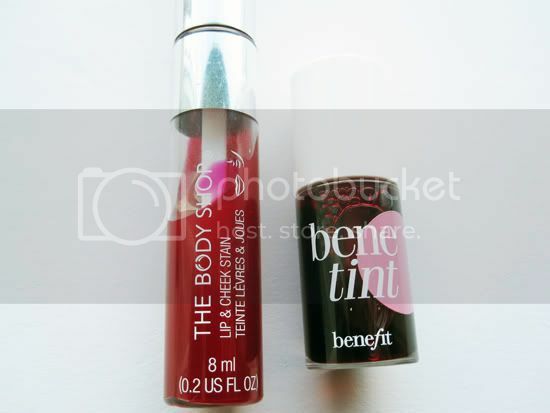 The main differences are in the formula (Body Shop's is thicker compared to the thin/water like consistency of Benetint) and the applicators (Body Shop has more of a lip gloss type sponge wand and Benetint has its little brush). What are your favourite Benefit products? Any that you want to try? I'd like to try their Sugarbomb powder, That Gal Primer and the Porefessional balm, has anyone tried those? I love the look of the body shop one! pretty colour. Benefits theyre real is my must have! I like the 'tints' - posie is probably my favourite... But I wanna try cha cha too. I love me some High Beam. It really draws the light to your face well. 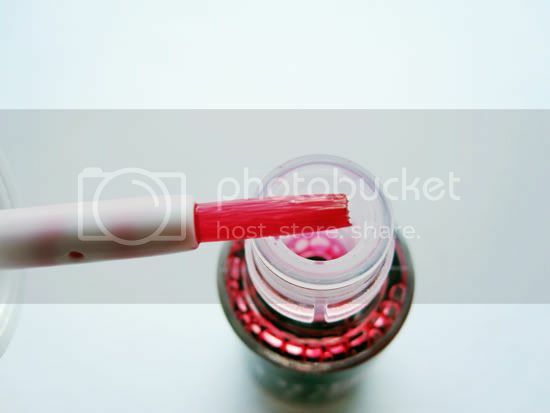 I love posie tint! It's my favourite. 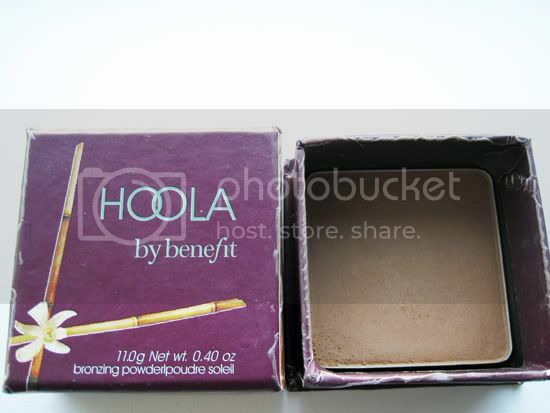 Haven't tried Hoola though because I thought it would be to dark for my pale skin. The matte factor appeals to me though. @Zoe - it is, I love it! @Alex - their tints are fab, want to try Cha Cha too! 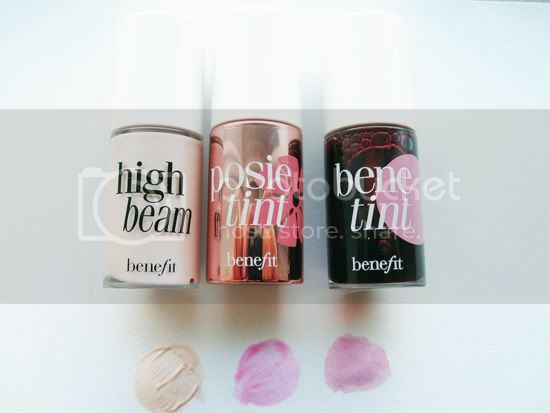 High beam is my all time fave! 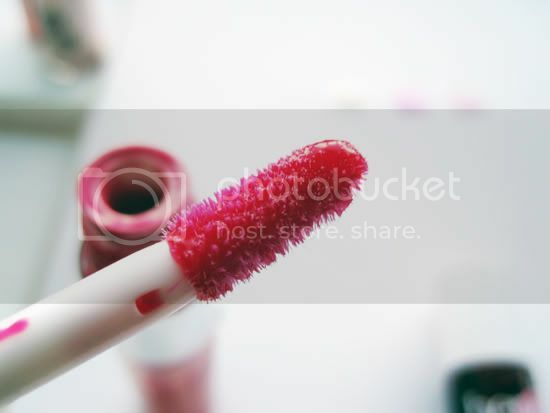 I'd be lost without it in my make-up bag!